Throughout New Zealand and around the world, equipment manufactured and constructed by Cuddon Ltd is known for its reliability and innovative design. Premium Game supply the finest New Zealand wild game meat. Norski Fibreglass Products manufactures a wide range of specialized composite products and carries out repairs on all number of items made from fibreglass. Norski Fibreglass Products is also the sole distributor of Zodi Outback Gear. Quality controlled engineering services for industry, aviation and defence. Short run and production capability. Sollys Lollies manufacture a range of starch-moulded confectionery and supplies the New Zealand and Australian markets. We seek to set hearts afire with our exquisite range of jewels for every taste, from those seeking unreserved luxury to the budget conscious couple just starting out. New Zealand based Research and Development company specialising in the volume reduction of glass bottles and the storage and sourcing of new and existing uses for glass sand. Industrial Marine Ltd manufacture and distribute quality plastic rotationally moulded products and mussel stocking for the aquaculture, marina and boating industries. Developed by Dr. Kathrine Davis, Nütressence is an antioxidant health solution created after several years of research and development. Norski Holdings is a privately owned, innovative company situated in the sunny province of Marlborough, South Island, New Zealand. Safe Air is an aviation maintenance, repair, overhaul (MRO), design and manufacturing business with capability for engines, airframes and components. Airframe capability includes Lockheed C-130 and P-3 Orion plus helicopters. Engine capability includes Rolls Royce T56 and Pratt & Whitney J52. Flight Group of Companies is a New Zealand-based, privately owned business specialising in two diverse areas - plastics and timber. The Group's plastics manufacturing plants are located in Wellington, New Zealand; Adelaide, Australia; and Winchester, UK. 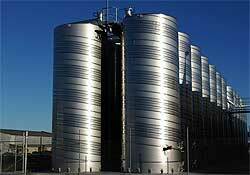 Taylors Engineering's involvement with the wine industry began with tank manufacturing in the early 80’s. Since then the company has specialized in manufacturing stainless steel equipment for the wine industry in New Zealand and abroad. In the last few years we have perfected a revolutionary method of tank building called spiral welding. Spiral welding is another reason why Taylors are Leaders in the design and manufacture of wine making equipment. 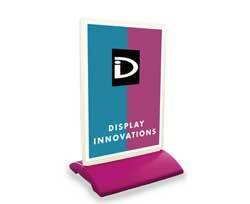 Display Innovations is a leading provider of free-standing signs and have a rich history going back twenty years of manufacturing innovative yet functional display systems. We manufacture the best selection of freestanding signs and are proud to offer the most durable signs available. No matter what your requirements are we will have a product to suit your application!